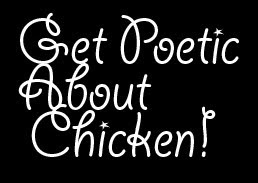 Remember this contest we launched a few weeks ago in celebration of Mark's Healthy Shotglass Chicken Adobo recipe winning an award from Chicken Farmers of Canada? Drumroll please... Our contest winner is: Melissa Hastie! Congrats! And the book comes to a close! 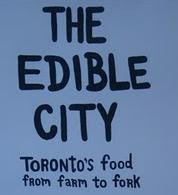 To see all chapter reviews of The Edible City, click here. Bert Archer kicks off the final chapter by talking about food waste. He focuses on retailers (some do a better job than others) who give food that's not suitable for sale a second life through programs like Second Harvest. Food waste is a travesty to me, but thankfully it's something we can, at least at an individual level, control - when I get groceries each week, I go with a list and know what I'm going to make, so I don't buy anything that isn't part of my recipes unless I can freeze it. It's just ridiculous that so many people go hungry, while others overbuy and end up throwing food out. Sasha Chapman's story is particularly heartwarming, as it chronicles an Egyptian man's attempts (despite all the challenges) to plant a fig tree in his backyard in Toronto. The amount of love and dedication he has to the tree really shows how important food, especially the kind we grew up with, is to us. In Brendan Cormier's piece, a strategy for Toronto to have "ubiquitous food markets" is laid out. This takes the farmer's market idea a step further (think pop-up food stalls, be it one or one hundred, at key points of intersection in our city like a subway entrance). Aside from requiring the City's commitment, it also would require a cultural change on our part of going from "stock-up" shoppers who grocery shop twice a month to "top-up" shoppers who shop once or twice a week and could conveniently pick up fresh and healthy items as we go about our daily lives. Wayne Roberts ends the book with a story every Torontonian can be proud of. For all the shortcomings the book (rightly) points out, we have a lot to be proud of about our food scene, and Wayne reminds us of that through a historical look at how Toronto "found its food groove." And with that, The Edible City concludes on a high note. But stay tuned - I have 3 new books in my possession for review!!! Click here to read our reviews of the other sections (antipasti, primo, secondo and contorno) of the book!